One who acts as a catalyst for change. Change Agents are everyday people who do small things that have significant impact. They are cultivators who plant seeds our lives (knowingly or unknowingly). Their presence nurtures and molds us every day, giving shape to the environment in which we work. They are fueled by their own passion to contribute and thus incite passion in others. They are the risk takers, the visionaries who see possibilities when others see obstacles. They are catalysts that make the Game Changing moments of organization possible. Sherri Cook has been with the National Institutes of Health (NIH) since 2006 and is a member of the Equity, Diversity, and Inclusion’s (EDI) Portfolio for Blacks Committee. Her understanding of the importance of equity, diversity and inclusion here at the NIH is what motivated her to volunteer. As a committee member, she assists the committee chair with coordinating programs, activities, and initiatives, as well as, examining barriers to the employment, promotion and advancement of Blacks at the NIH. Cook’s formal role at the NIH is Program Support Assistant in the Epidemiology and Genomics Research Program (EGRP) where she provides programmatic and administrative support to EGRP's Methods and Technologies Branch. Before joining EGRP, Cook worked in the Division of Cancer Control and Population Science's Behavioral Research Program (BRP). During her time with BRP, she worked with the Tobacco Control Research Branch (TCRB), the Health Promotion Research Branch (HPRB), and the Health Communication and Informatics Research Branch (HCIRB). Prior to the NIH, Cook worked in private industry managing small business planning and development and accounting departments for the private industry and government. She attended Bowie State University and Prince George's Community College, where she studied Elementary Education and Child Psychology. Cook is also a Certified Life Skills Coach where her primary purpose and divine mission is to motivate and encourage the community. Cook’s unique coaching style allows for one-on-one sessions, small group sessions, and organized group sessions. She provides a “Real-Talk” approach that enables her to connect to the young adult audience. The “Tough Love” approach (with no room for excuses) has been attributed to making several breakthroughs for young men and young women; allowing them to begin thinking outside “The Box”. Cook’s faith is a key factor in her life and understands that her steps are purposely ordered. Who is Sherri Cook at NIH? 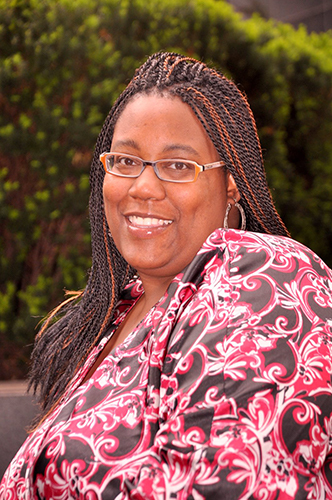 "Sherri Cook" is a Program Support Assistant in the Epidemiology and Genomics Research Program (EGRP). Her responsibilities include providing programmatic and administrative support to EGRP's Methods and Technologies Branch. How long have you been with NIH? I’ve been with NIH since 2006, and before joining EGRP, I worked in the Division of Cancer Control and Population Science's Behavioral Research Program (BRP). While I was there [at BRP], I worked with the Tobacco Control Research Branch (TCRB), the Health Promotion Research Branch (HPRB), and the Health Communication and Informatics Research Branch (HCIRB). I am also member of several human capital and team-building committees. It’s a combination of educational and professional experiences spanning over the last 15 years. Before entering the federal government as an employee, I was managing small business planning and development and accounting departments for the private industry and government. I attended Bowie State University and Prince George's Community College, where I studied Elementary Education and Child Psychology. Who is Sherri Cook outside of NIH? I am a Certified Life Skills Coach. I believe that my primary purpose and divine mission is to motivate and encourage the community. My coaching style allows for one-on-one sessions, small group sessions, and organized group sessions. I like to provide a “Real-Talk” approach that enables me to really connect to the young adult audience. My “Tough Love” approach, where I leave no room for excuses, has been helped me in making several breakthroughs for young men and young women. I seem them beginning to think more "outside the box”. I believe it’s my faith that is the key factor in my life; it reminds me that my steps are purposefully ordered.